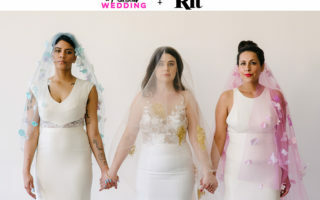 We’ve heard you, and we’re right there with you: Conventional, gendered wedding posing can be All The Weirds. Marriages don’t look like they did in the 1950s anymore, so why do the photos have to? My husband and I, who are the most awkward people in the world, tried out ALL the go-to wedding shots: Him kissing me on the cheek while I looked at the camera (in what I thought was) coquettish allure. Him holding me from behind like we were about to do some weird judo move. Him dipping me, his face cropped out, but then me almost falling because: awkward. Pretending to be some delicate flower on camera when I’m not one in real life was… hard. Unsurprisingly, the best shots of us were the ones where we were just being who we are: equal partners. Holding hands as we pick our way over the rocks in a stream. Walking side-by-side through a tree tunnel. Clutching at each other, tummy to tummy, and open-mouth laughing in each other’s face because that’s basically just who we are as humans. Even more radical? Shawnee C. throws out the rule book for transparency in pricing. 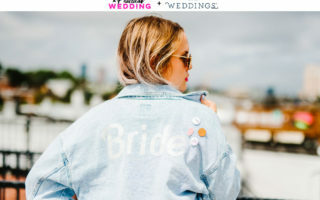 She never hides her rates (wedding coverage starts at $3,000 and includes FREE travel anywhere in the country), because we need all the information we can get without having to call or email a vendor a hundred times. But she’s also always down to talk honestly and openly about your capabilities and constraints, and customize packages. As she says, “If you feel like I’m the right photographer for you but are unsure about your budget, please reach out anyway! Money is scary, but it doesn’t have to be when you’ve found the right person to work with. From the planning process to the big day, I’ll be there cheering you on and pouring my heart into your celebration.” There are so few wedding professionals out there willing to have an open and honest conversation about money, I just kind of want to give Shawnee a hug for that alone. I told you Shawnee C. gets it. AND, right now, she’s offering a free engagement session or an extra hour of wedding coverage, a $400 value, to the first three couples who book! If that ends up being you, send us those pics! 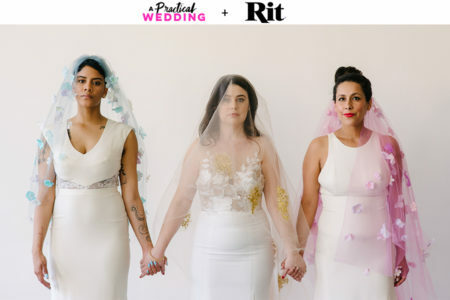 We (and the world) need more inclusive, gorgeous wedding photos in our lives. 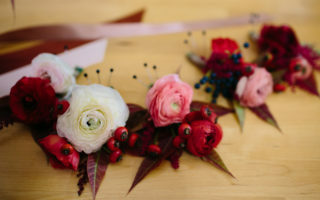 CLICK HERE TO CONNECT WITH SHAWNEE C. and be one of the first three APW couples to book and get a free engagement session or extra hour of wedding coverage.